Join us for our monthly community open mic as we celebrate the Harlem release of No Jewels (Book/Soundtrack), Pt. 1. 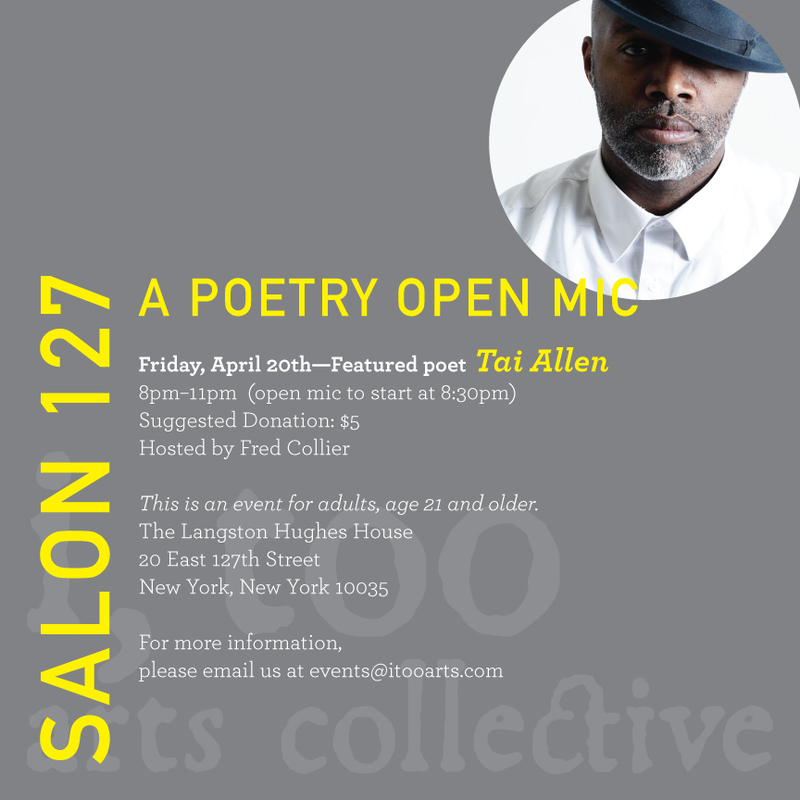 No Jewels is the latest work by our featured poet, Tai Allen. The open mic will be followed by a book signing, where guests may purchase a copy of the chapbook as well.